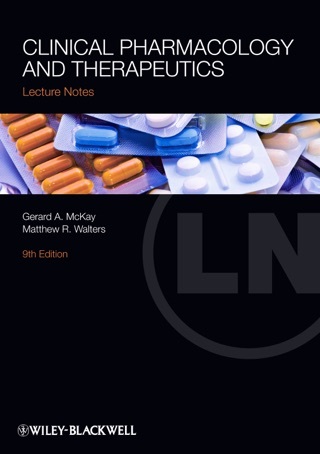 Lecture Notes: Clinical Pharmacology and Therapeutics provides all the necessary information, within one short volume, to achieve a thorough understanding of how drugs work, their interaction with the body in health and disease, and how to use these drugs appropriately in clinical situations. Presented in an easy-to-use format, this eighth edition builds on the clinical relevance for which the title has become well-known, and features an up-to-date review of drug use across all major clinical disciplines, together with an overview of contemporary medicines regulation and drug development. Whether you need to develop or refresh your knowledge of pharmacology, Lecture Notes: Clinical Pharmacology and Therpeutics presents 'need to know' information for those involved in prescribing drugs.